For 25 years The Raj has led the field in Ayurvedic treatments — gaining a reputation as America’s premier Ayurveda Health Center. By accepting no more than 15 guests at a time, The Raj is able to maintain a high quality of individualized service and treatment. The result is a unique experience of nurturing attention and care. The Raj is the only facility outside of India specifically built to offer the traditional Ayurvedic detoxification treatments, known as Panchakarma. 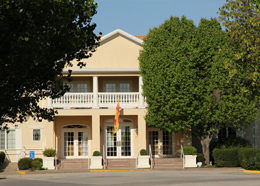 Our French country-style facility encompasses 36,000 square feet and includes two treatment wings, 15 single and double bedrooms, dining rooms, our Vedic health office, meeting rooms, and an exercise room. Guests can chose single or double rooms, with expansive views of the surrounding natural landscape. Located on 100 acres of rolling meadows and woodlands in Iowa’s heartland, The Raj offers an ideal environment to transform and rejuvenate. The Raj in-residence program offers a life-transforming opportunity to rejuvenate mind, body and spirit. At the heart of The Raj programs are the profound Ayurvedic purification treatments that once helped maintain long life for the royal families of India. Known as Panchakarma, these customized rejuvenation therapies help restore balance and reawaken the body’s natural healing mechanisms, promoting vitality and good health. Panchakarma is tremendously powerful and uplifting with its ability to detoxify the body and reduce stress, while nurturing both the body and well-being. In addition, the profound knowledge of Ayurveda is fully integrated in every aspect of your visit, for the most powerful healing effect possible. Guests learn to understand how individual factors in their make-up affect physical tendencies, moods, cravings, motivation, and behavior. And guests learn how simple shifts in diet, exercise, and daily and seasonal routines can enhance their progress toward increased strength, stability and vitality. Not only do our guests go home feeling renewed in body and spirit, they also report that the benefits from their stay continue to grow long after they have returned home. All of the treatments and herbal formulas offered at The Raj have been approved by the Maharishi Ayurveda Council of Physicians, an honored consortium of the most experienced Ayurvedic experts in India, considered to be the gold-standard of Ayurveda. The Raj is located in Fairfield, Iowa, the home of Maharishi University of Management (MUM), the Maharishi College of Consciousness-Based Health Care, and the NIH-funded Institute for Natural Medicine and Prevention. Pioneering research on the Maharishi Ayurveda Approach to Health continues to be done through the University and the Institute, including the recently published research of Dr. Robert Herron, showing that the treatments offered at The Raj can reduce dangerous fat-soluble toxins by over 50%. No other form of detoxification can remove this family of chemicals. Your stay at The Raj begins with an initial consultation with our team of Ayurveda experts. The evaluation includes Ayurveda Pulse Assessment, the traditional diagnostic technique acknowledged by the World Health Organization. By placing three fingers on the wrist, a trained expert can feel the level of imbalance in the body, even before specific symptoms of imbalance become manifest. A Treatment Program is then customized for your needs. Each day you’ll enjoy two to three hours in a series of recommended Panchakarma treatments. These treatments, while luxurious in nature, have profound healing and purifying effects. 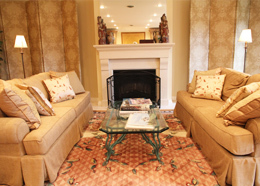 Guests rave about both the treatments and the results they feel afterwards. At meals you’ll have the option of joining other guests or eating at a private table. This tradition of family-style meals makes The Raj enjoyable for those traveling alone. Many guests remark on the friendships that are established during their stay. The vegetarian diet is organic, low fat, and specifically designed to support the treatment program. During non-treatment times you can take a walk on acres of trails threading through forests and meadows, enjoy classes and videos on Ayurvedic principles, or take a meditation class (optional and not included in the package price). Yoga classes are offered twice a day. The Yoga classes at The Raj are not intensive, but teach a simple series of exercises that can be done at home. Dinner is followed by a guest speaker on some aspect of Ayurveda knowledge. Lectures are given in a relaxed living room-style setting. Before retiring to bed for the evening, guests share hot, spiced milk and then are encouraged to listen to Vedic sounds, which are available in all the rooms. Over the last 30 years, Mark Toomey has worked with the world’s top experts in Maharishi Ayurveda in India, Australia, and the United States. In 2005, Mark became the Director of Maharishi Ayurveda at The Raj where he is available for consultations, works with visiting Ayurvedic experts from India, and oversees The Raj’s Panchakarma programs. Mark’s experience and expertise in Ayurvedic Pulse Assessement is foundational for developing an effective prevention or treatment program. In this, Ayurveda presages the trend toward “personalized medicine” now emerging within conventional medicine. The principle is that the diet, herbal supplements, lifestyle or treatment plan that is beneficial for one individual may different from those that will be beneficial for another individual—depending upon a person’s specific mind/body balance or state of imbalance. 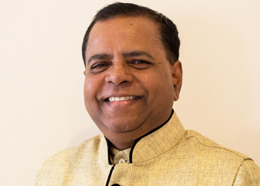 Manohar Palakurthi, BAMS, is an Ayurveda physician (vaidya) and a teacher and expert in the Maharishi Ayurveda and Maharishi Nadi Vigyan (Pulse Assessment). Manohar trained with three of the worlds top experts in Maharishi Ayurveda; Balaraj Maharishi,(world renowned herbalist), BD Triguna (worlds renowned pulse diagnosis expert), and VM Dwivedi (Vice chancellor of University of Jam Nagar). He has also worked closely with Asta Vaidyas and their traditional practices (Keraleeya Panchakarma). Vaidya Manohar was instumental in establishing Panchakarma centers in USA, Europe and South East Asia . He practices as an Ayurveda clinical consultant, teacher, and course developer for health professionals and modern physicians. He has presented seminars and lectures on Maharishi Ayurveda all over the world. He has trained in Maharishi Aroma Therapy (France), and Ayurveda Ophthalmology (Kerala). He was one of the principal developers of the Maharishi Ayurveda Mother Baby program. Currently he serves as Professor of clinical Medicine at MUM and teaches MS MD Integrated health science in AUIS Caribbean. Vaidya Manohar serves as Ayurveda products technical consultant and product development research for Maharishi Ayurveda Institutes in India, Netherlands, United States, Japan, and Italy. He is a Professor of clinical medicine (Ayurveda) physiology and health and curriculum developer for Ayurveda courses at the Maharishi University of Management. In 2015 he received the Dhanvantari award by MERU Netherlands. Manohar graduated from Nagarjuna University in India AP,(1978 -83)At the heart of The Raj programs are the profound Ayurvedic purification treatments that once helped maintain long life for the royal families of India. Sankari has been a part of The Raj team of experts since 2003. Her extensive knowledge and experience in Ayurvedic Pulse Assessment provides a base for offering a personalalized wellness routine that encompasses Ayurvedic treatments, herbal supplements, diet and lifestyle recommendations. Sankari has a life-long interest in empowering people to live their optimal health. Sankari has three Bachelor’s Degrees: Biology-PreMedical and Women’s Studies, Philosophy with a focus on Bioethics, and Maharishi Ayurveda. She has a Master’s Degree in Physiology and is currently pursuing a PhD in Maharishi Ayurveda and Integrative Medicine. Shankari has been a teacher of the Transcendental Meditation program for 18 years. She is on the Board of Trustees at the Maharishi School, an innovative Preschool-12 that combines preparatory academics and self-development. She gives lectures on Ayurveda at universities and high schools throughout the country. 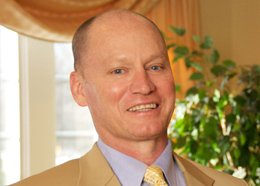 Dr. Robert Schneider is the medical director of the Raj Ayurvedic treatment programs. He is an internationally recognized physician-scientist-educator and leader in the field of integrative medicine. 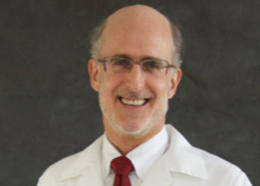 In addition, Dr. Schneider is Dean of the College of Integrative Medicine and Director of the Institute for Natural Medicine and Prevention at Maharishi University of Management in Fairfield, Iowa. Beginning in 1984, Dr. Schneider was one of the first physicians in the United States to practice, teach and research Maharishi AyurVeda, the modern reformulation of the ancient health science of Ayurveda. Over the past 30 years, Dr. Schneider had directed or co-directed more than $25 million in grant support from the US National Institutes of Health and other government agencies for clinical research on integrative, mind-body approaches to cardiovascular disease and aging. The results of these studies have been published in 150 peer-reviewed publications, including those of the American Heart Association, American Medical Association and featured in more than 1,000 television, radio, magazine, and newspaper reports, including ABC’s 20/20, CNN Headline News, the Discovery Channel,the New York Times, Washington Post, Newsweek, Wall Street Journal, and Time magazine. Based on his groundbreaking clinical and research experience with Maharishi AyurVeda, he authored the popular book: TOTAL HEART HEALTH: How to Prevent and Reverse Heart Disease with the Maharishi Vedic Approach to Health. His second book, entitled SUPER AGING: Modern Medical Science Discovers Secrets of Ancient Ayurveda for Longevity, Health and Happiness is in progress. Dr. Schneider has been a consultant to the National Institutes of Health (NIH), Centers for Disease Control and Prevention, Presidential Commission on Complementary and Alternative Medicine and the US Congress’ Prevention Coalition. Dr. Schneider is a frequent lecturer at academic medical centers, professional societies and public forums on four continents. Dr. Schneider received his MD from Rutgers University Medical School and did his postgraduate training in internal medicine and hypertension at the University of Michigan Medical School. In 2005, he was elected as a fellow of the American College of Cardiology. He is a specialist in preventive medicine. Named “one of the nation’s most prominent Ayurvedic doctors” by the Chicago Tribune, Dr. Nancy Lonsdorf is an award-winning integrative physician and author specializing in Ayurveda and the prevention and reversal of Alzheimer’s and cognitive decline. She is a graduate of the Johns Hopkins School of Medicine and did her residency training in psychiatry at Stanford University. Recently, Dr. Lonsdorf has trained in natural approaches to enhancing memory and mental clarity using the scientifically-validated Bredesen Recode Protocol for the reversal of cognitive decline and is an MPI Cognition-Certified practitioner. Dr. Lonsdorf is also a recognized expert in women’s health issues and has authored two books on the topic; The Ageless Woman: Natural Health and Beauty After Forty with Maharishi Ayurveda and A Woman’s Best Medicine for Menopause: Your Personal Guide to Radiant Good Health Using Maharishi Ayurveda. 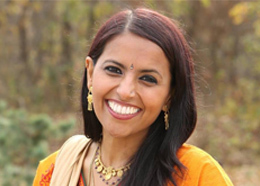 She is also co-author of a best-selling Ayurvedic health guide for women, A Woman’s Best Medicine: Health, Happiness and Long Life through Maharishi Ayurveda. Dr. Lonsdorf currently has a private practice in Integrative, Holistic Medicine and Ayurveda and teaches Maharishi Ayurveda to medical doctors and health practitioners at The Scripps Center for Integrative Medicine in La Jolla, CA, and at the University of Maryland School of Medicine’s Center for Integrative Medicine. 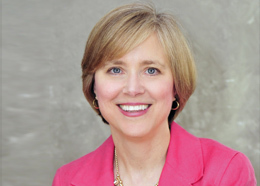 Dr. Lonsdorf studied Ayurvedic medicine in India and the US with top Ayurvedic physicians and scholars and has worked closely with distinguished Ayurvedic vaidyas throughout her 25 years of practice. In 2011, she received the Atreya Award for excellence in Ayurvedic practice awarded by the Association of Ayurvedic Practitioners of North America. Dr. Lonsdorf has lectured at some of the nation’s foremost medical institutions, including The National Institutes of Health, Johns Hopkins, and Columbia University, and has served on several editorial boards of both online and print journals in integrative and complementary medicine. Over the past twenty-five years, she has treated nearly 20,000 patients using Maharishi Ayurveda. She is formerly the medical director of The Raj (2000-2005), and of the Maharishi Ayurveda Medical Center in Washington D.C. (1987-2000), a pioneering Ayurvedic medical clinic.